Who doesn’t love a pina colada? I know I sure do, but I don’t love all the calories and sugar that comes along with it. I was determined to make a healthier version of a pina colada that still tastes just as good and sans liquor of course! 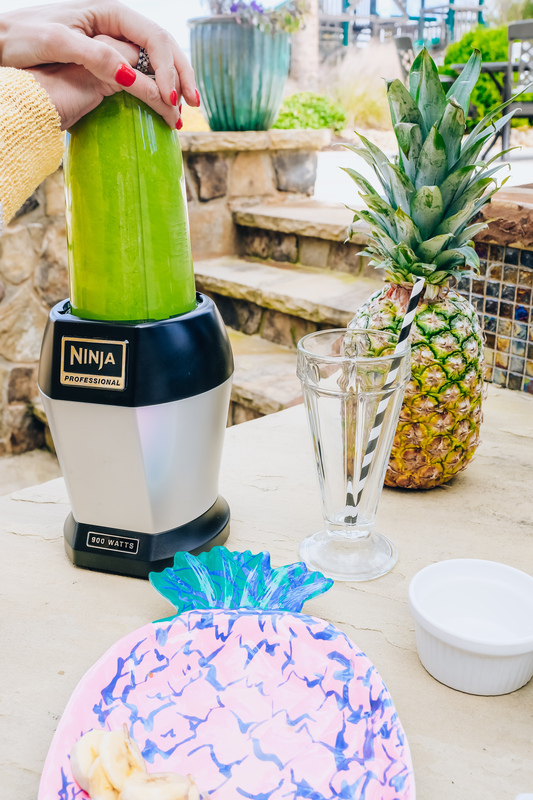 What I like about this recipe I found is that you can easily have it as a refreshing drink with hidden good for you fruits and veggies, or add some protein powder to it for an amazing post workout treat. 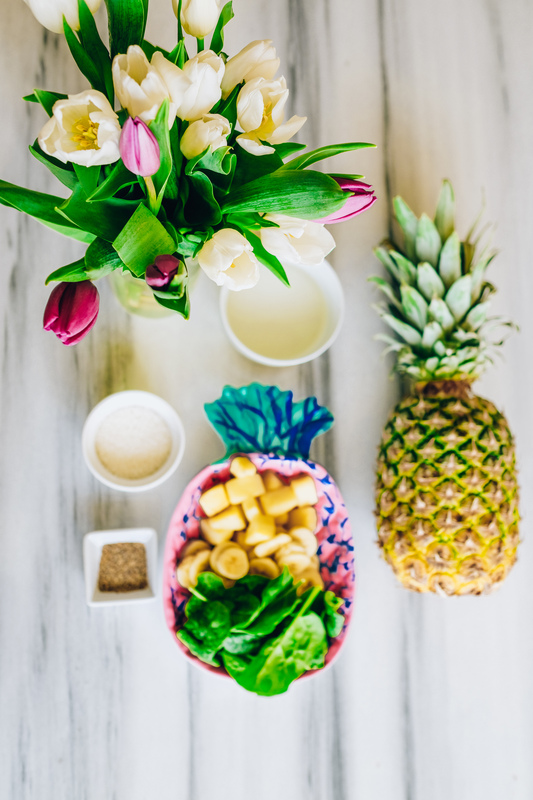 Pineapple is great for you! It is packed with antioxidants and vitamins that help build the immune system, strong bones and aid in indigestion. Banana’s are high in potassium which is great for relieving muscle cramps. A few other amazing benefits include improving skin health, lowering blood pressure and increasing happiness! Spinach is not only rich in vitamins, but it is also beneficial to eyesight, has anti-inflammatory properties and boosts metabolism. Coconut is a superfood that has many, many benefits including better brain function, blood sugar control and it can even boost your energy! I don’t like the texture of coconut but love the flavor. Could I leave the actual coconut out and add in more coconut water instead?